For over a week now, WWE fans have been outraged at the 90-day suspension, which was later reduced to a 60-day suspension, of Titus O’Neil. As many know by now, Titus grabbed Vince McMahon as the Daniel Bryan appreciation segment was going off the air on the WWE Network. Titus’ suspension is the equivalent of a second wellness violation strike, which has had some people wondering if he did a bit more than just grab the WWE chairman. Earlier that night, Titus, who had been on a bit of a winning streak, got beaten by Adam Rose of all people, which, again, has people thinking that there’s a bit more to this story. But, for now, all we know is that Titus was suspended for “inappropriate behavior,” and because of that, he’ll end up missing out on a WrestleMania payday. WWE legend “Stone Cold” Steve Austin gave his take on the Titus O’Neil situation on his latest Steve Austin Show podcast, and while he said that Titus deserved to be punished, he thought that a fine, or even just a 30-day suspension would be an appropriate punishment for the former WWE Tag-Team Champion. Some people were calling Vince McMahon a racist following the news of Titus’ suspension, but Austin thinks those allegations are completely ridiculous. Titus has certainly become a sympathetic figure over the last week, and if WWE uses him correctly upon his return, the suspension may actually end up being a good thing for his career. While Titus O’Neil’s return to WWE will be a big deal, his longtime friend and former WWE World Heavyweight Champion Batista tweeted that he told Titus to ask for his release from the company. Several weeks ago, WWE pitched an idea to Batista that involved him being a guest referee at WrestleMania 32, which he turned down. 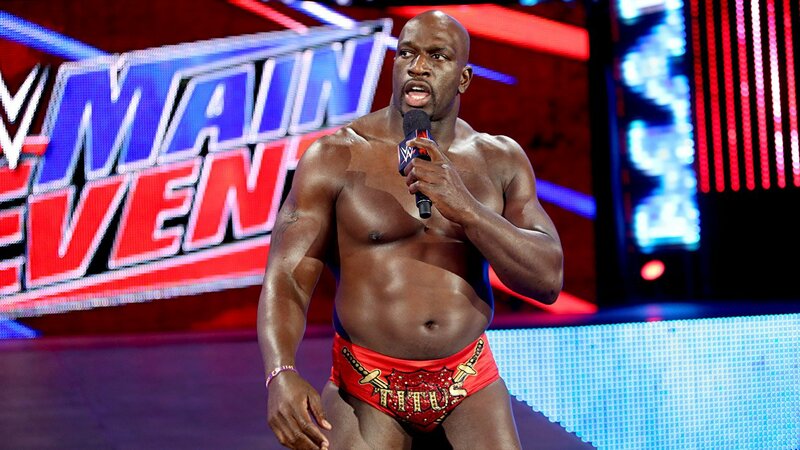 Word is that WWE was trying to come up with another idea for “The Animal,” but now, due to the Titus O’Neil situation, he may not be interested in doing anything with WWE, no matter how good they make it sound. Before his suspension, Titus was WWE’s charitable face, taking the place of John Cena, who is currently out of action due to a shoulder injury, but he may have taken himself out of that position due to the grabbing incident at the end of last week’s show. WWE also decided to break up the Prime Time Players for the second time because they wanted to give Titus a bit of a singles push due to all of the charity work that he’d been doing for the company in John Cena’s absence. Of course, he may not end up getting that same singles push upon his return.